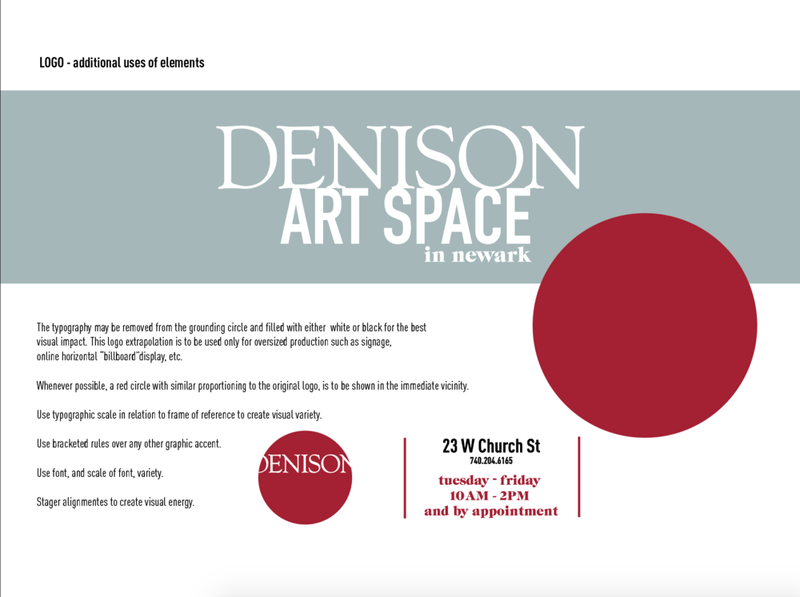 Keeping with Denison University's brand standards, a sub-brand was developed for the Denison Art Space in Newark. Working with a team from the University lead by the Art Space's Director, a solution the is identifiable as part of the larger Denison brand but unique for a creative space was designed. The new Art Space required a professional, signage package that represented the organization as a leader in the regional arts community. A sculptural, dimensional, monumental, LED lit facade sign is the gem of this project. The deliverables included logo, style guide, business card and letterhead template, sidewalk signage, event sign display system, interior environmental graphics, and exterior facade sign.